Dry Cleaning / Laundry Business Plan in Nigeria – Dry cleaning is the business of providing laundry and other cleaning services bordering janitorial, upholstery and other domestic cleaning including of rugs, walls (especially tiles) and windows. Also included sometimes are services rendered to corporate and commercial entities. The business of dry cleaning is a highly specialized venture requiring a great deal of expertise and efficiency. GET YOUR DRY CLEANING / LAUNDRY BUSINESS PLAN IN NIGERIA for N10,000 only. After payment text your name, your e-mail address & payment details to 08060565721 and immediately I will send a copy of the DRY CLEANING / LAUNDRY BUSINESS PLAN IN NIGERIA to your email box. Continue reading to see the table of contents of the Dry cleaning / Laundry Business Plan. The business thrives on the premise that busy executives and socialites want to have their expensive clothing properly cleaned and maintained. Some of the methods used by dry cleaners include; starching, dying, warm rinsing and use of chemicals to remove dirt and stains from clothes and adding fragrance to them as well. a) Location: You will have a better chance at success if you identify an area, neighbourhood or even a residential estate where the standard of living is average and above average. b) Level of Competition: Dry cleaning and Laundry services may be lucrative but not when you are entering into a ground already occupied by several dry cleaning services. before you launch into any town or area do your business diligence and find out the level of competition if any. GET YOUR DRY CLEANING / LAUNDRY BUSINESS PLAN IN NIGERIA PDF for N10,000 only. 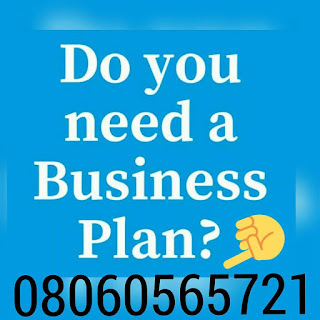 After payment text your name, your e-mail address & payment details to 08060565721 and immediately I will send a copy of the DRY CLEANING / LAUNDRY BUSINESS PLAN IN NIGERIA PDF to your email box. Do you have a package for resellers. I mean if I want to buy and resell to my client. If available, what is the price that you will be charging me?